This is a reply to the enlightening article on the blog muslimmatters.org [link] on the subject of Muslims living in secular Western societies. While the issues raised were engaging and highly relevant, the presentation of the thought of Syed Qutb and Syed Maududi was over-simplified and far from accurate. This is not a rebuttal, refutation or response to the article by my teacher and shaykh Yasir Qadhi, but an informed contribution to the discussion he helped jumpstart. The founders of the contemporary Islamic movements, including Hasan al-Banna, Syed Qutb and Abul A‘la Maududi are among the most misunderstood personalities in modern times- and that doesn’t exclude Muslims. The Al-Qaeda hysteria and the global chaos caused by terrorism, both real and imagined, both individual and state-sponsored, has rendered a sound understanding of Islamic religion, history and thought extremely challenging if not impossible. This preoccupation keeps leading to outlandish conclusions that we have all heard all too often, and attempts to link contemporary violence to Qutb, Maududi, al-Banna, or even to earlier figures such as Muhammad b. Abdulwahhab, Ibn Taymiyyah and others. I believe it is more than obvious, from the thoughts, writings and works of these figures, that there is no need to theorize whether they would have agreed with contemporary extremist tendencies or not. The answer is resoundingly clear to all those who have any rudimentary familiarity with their life work. The prolific and abundant writings and speeches of Maududi, for instance, clearly reveal his mainstream, gradual approach to Islamic work and his rejection of violence and extremism. His magnum opus al-Jihad fi’l-Islam is a nuanced approach to the understanding of the misunderstood concept of jihad (which badly needs to be translated into English). Incidentally, that book was written ~ 1929 in response to a violent incident which occurred in India involving a misguided Muslim who took the law into his own hands. 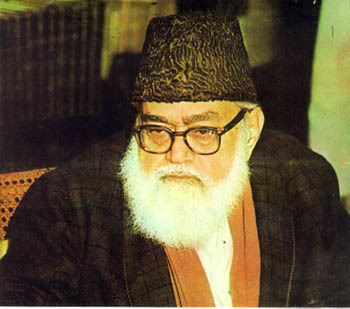 Anyone can read Maududi’s 400-plus work in English- Islamic Law and Constitution and realize that far from presenting a naïve and simplistic view of Islam and kufr, he proposes real and substantial solutions to integrate Islamic law within the fabric of Pakistani law and society, in a gradual and peaceful way. Maududi is somewhat different from other thinkers in that he was not just a writer, but he founded a socio-political movement within a Muslim nation and led it for a number of decades. As the first leader of the Jamaat e Islami, his approach and methodology was always severely criticized by others, for the simple reason that he advocated full involvement in the political and electoral process of Pakistan. As such, his party was always involved in elections, made alliances with others and even advocated other candidates in many elections (including at one point, even a female- Fatimah Jinnah the sister of Pakistan’s founder!). In fact, the main point of contention that led Dr Israr Ahmad to break from Maududi’s movement was his involvement in the political process and his refusal to engage in extra-systemic means to establish the Islamic order. In addition, Maududi came to the United States several times, corresponded regularly with Muslims living here and was generally aware of the Muslim presence in the US. His own son lived here. 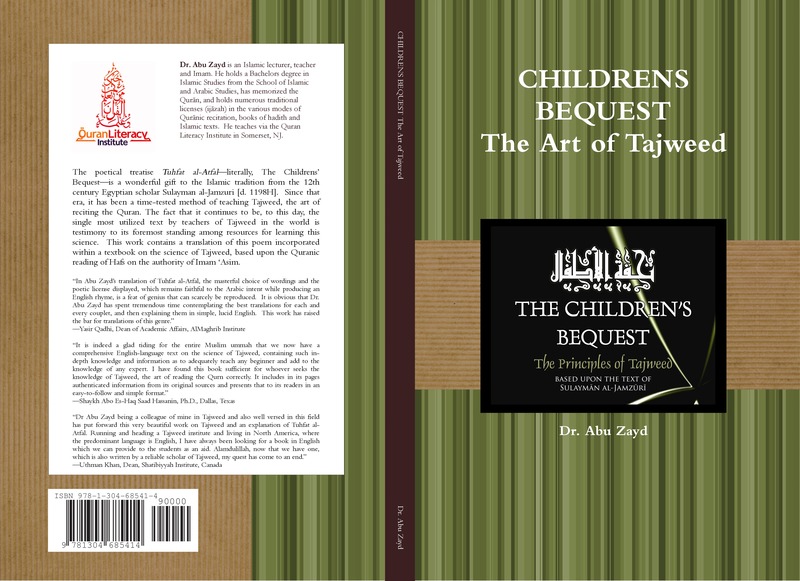 His correspondence with the convert Maryam Jameelah is well-known and is the subject of several works. His only available video interview in English is addressed to an audience of US Muslims. There are indigenous Imams still alive today (Imam Khalid Griggs comes to mind) who visited him and sought his counsel on affairs relating to American Muslims. His small but concise booklet on the halal meat issue is a response to the zabiha issue brought up by US Muslims! The very fact that there were radical offshoots, such as Takfir wa’l-Hijrah, from these movements, shows their mainstream nature. Ascribing these offshoots to the founders of the original movements is as problematic as ascribing deviant sects to mainstream Islam or modern terrorist groups to the way of the Prophet Muhammad, as right-wing ideologues do today. The effects of the work and thought of these contemporary personalities is innumerable. It helped shape nearly every Muslim community throughout the world today, especially in the West. The infrastructure and backbone of most communities, masajid and Islamic organizations in the US was laid down by the students of these personalities. It is high time that this aspect of their lives is brought to the forefront and documented by their own students before their work and thought becomes obscured to the dustbins of history. I respect what you are doing. Just because Maududi spoke against khawarij doesn’t mean he’s talking about anybody you and I wish to label khawarij today. Excellent post. There is a lot of false attribution to people such as Maududi and Qutb. The sad part is that many Muslim intellectuals have seemingly taken on the simplistic assessment of them made by Western think-tanks. A quick correction though: Maududi and JI were not ‘always’ invovled in electoral politics or the mainstream political process. For the first 13-odd years he was not involved, and worked outside of it. Thereafter he decided to be involved, upon which some famous names, such as Dr. Israr, parted ways. Perhaps you did not literally mean always, but it may be understood as such. the people of such great status born after centuries. assalamalaikum, i am very interested in finding out more about the moududi thought and how it differs to the deobandi movement, and also what is its link to mowlana delwar hussain syeedi, the former leader of the jammati islami group of bangladesh, i pray someone would be able to help me understand it more. anchor text linking, adding call to action in various places on the page.